The video game industry has reached the global mass-market, thanks in large part to the ubiquity of the Internet, mobile phones, and portable devices. In 2014, the total market for video games worldwide reached approximately $82 billion, making it larger than either the film or music industry. The growth of game development can be directly linked to the adoption of game engines. Game engines and middleware have played an integral part of the development process for the past 10 years. Back in 2003, the total worldwide game revenue for the year was $18.7 billion, and the total number of games released for the entire year was under 2,500, which included all PC and console games. At that time, M2 Research estimated that approximately 8 percent of all titles in development used some form of off-the-shelf game engine, or less than 200 titles. Compare that to 2014, with mobile and online games dominating the market growth. Pocket Gamer, a website that focuses on portable gaming, estimates there are more than 309,500 active games available on the App Store alone, with 2,400-plus new games submitted monthly. In the same token, Steam saw incredible growth in 2014, with 1,300 new games added to the site, up from the 300 games added in 2013. Steam also had 24 million new users set up accounts in 2014, bringing the total number of active Steam users to over 125 million. Game engines were first developed for some of the biggest titles in the early 1990s. Quake and Doom developed proprietary game engines used for first-person shooters (FPSs). Studios developing proprietary engines was the norm for these large-scale games through the early to mid-’90s. There have been many game engines during the past 20 years. Originally developed in conjunction with a specific title, engines were viewed as highly proprietary technology. Many companies viewed their game engine as the key differentiator, spending millions of dollars to create the engines themselves. The general benefit of an engine is that it enables developers ultimately to focus more on the gameplay, characters, story, imagery, and landscapes. Given that, the first engines were not shared with other third-party studios. One of the first successful commercial game engines started appearing in the mid-’90s when Criterion came on the scene with RenderWare. Launched in 1997, RenderWare was one of the first engines focused on building third-party support. Developed by Criterion Studio, RenderWare was a 3D API and graphics rendering engine tuned for early cross-platform development projects and supported by Sony for PlayStation 2 development. RenderWare was acquired by Electronic Arts in 2004 for an undisclosed sum. Three years later, Electronic Arts announced it had moved development over to Epic’s Unreal 3 game engine. By 2006, there were roughly 20 different game engines available on the market, covering console, PC, and MMO development. Today’s game engines are substantially different from the past engines, which were extremely technical, difficult to manage, and expensive, with large back-end royalty clauses. Presently, engines fall into one of two categories: SaaS (software as a service) or open source. Unity was first to launch its subscription model in 2013 and now offers a subscription service to the Pro version of Unity at $75 per month (with a 12-month commitment). At GDC 2014, Epic and Crytek both announced their SaaS models, with Epic releasing the Unreal Engine 4 for $19 a month, along with a flat 5 percent royalty fee payable on any sales of products powered by the engine. Crytek’s subscription-based model runs $9.90 per month. Ustwo used Unity’s engine for its Monument Valley game. Unity Technologies was founded by David Helgason, Nicholas Francis, and Joachim Ante in Copenhagen, Denmark, in 2004. The company made its mark by directing initially on mobile game developers when mobile devices were just starting to gain momentum. With the launch of the iPhone in 2007, Unity focused its initial efforts on supporting that device and mobile development. This was a huge success given the boom in mobile phone penetration, and the company soon made it its mission to democratize game development. Over the years, Unity has continued building up the Unity platform, establishing its Asset Store and creating a global community. Today, Unity is used by more than 3.3 million registered developers in a wide range of industries, including architectural, product design, visualization, and education (see “A House with History,” page 34). In fact, 2014 was a big year for Unity. The company made several acquisitions, including Applifier (Helsinki, Finland) for its Everyplay and GameAds services, and Playnomics (San Francisco) mobile game analytics company. Then in October 2014, Helgason stepped down as Unity CEO, with John Riccitiello assuming that position. Previously the CEO of Electronic Arts, Riccitiello is now providing the leadership to grow the platform further. There are many benefits to using Unity and the strength of its large user base and community development. What seems to be most important to developers is Unity’s support for cross-platform development: Currently it runs on 15 different platforms, including Windows, iOS, Android, Linux, Flash, PS4, Xbox, and Wii U. Also, an increasingly important feature is the company’s Asset Store. Unity’s Asset Store launched in 2010 to support its active developer community. Since then, the Asset Store has played a significant role for both studios and individual developers as a marketplace to share content and sell everything from images to code. 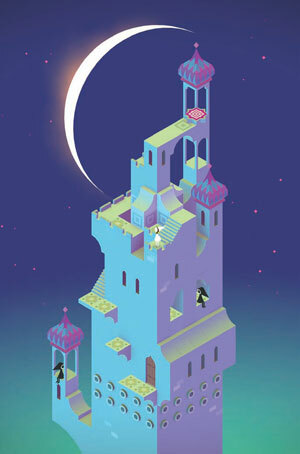 One of the breakout games of 2014 was the architectural game Monument Valley, created by ustwo using Unity. The team created the game using Unity, open-source Blender, Adobe’s Photoshop, and Atlassian’s SourceTree, a pipeline that gave the artists “the greatest degree of freedom to express themselves efficiently,” McFarland adds. According to McFarland, the studio needed a tool that made it simple for everyone on the team – artists with tech skills, developers with art skills, and production support with artistic integrity – to use and contribute directly to the project. “Selecting a game engine is a substantial investment, so it was important to keep open our options for targeting different platforms in the future, and Unity has perhaps the broadest range of supported platforms,” he says. Another concern pertains to monetization, especially since it has become increasingly difficult with mobile games. Even a breakout hit like Monument Valley has to look at its monetizing strategies on a platform-by-platform basis. Ustwo went for a premium model, selling the game for $3.99, which was considered high when so many were going the freemium route. Expecting it would take a year to break even on the title, the studio was surprised when it took just seven days to do so. However, most of the revenue came from iOS platforms, while only 5 percent of Android users bought the game. “While unexpected, this was not a complete surprise, as Android is an open platform, which more easily allows the acquisition of games and apps outside the regulated channels of distribution,” says McFarland. 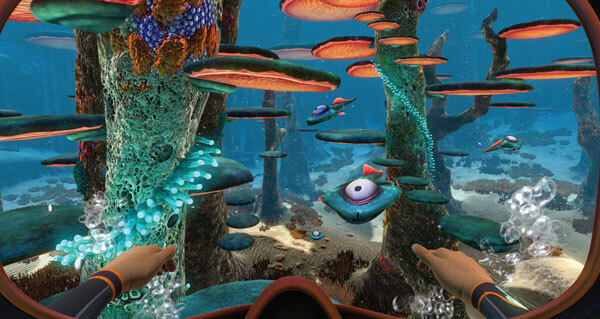 Unknown Worlds Entertainment was able to take a deep dive with its Subnautica game by using the Unity Engine. Founded in the mid-1990s by Tim Sweeney and Mark Reins, Epic has been at the forefront of graphics, game development, and engine design since the company’s inception. Back in 1998, when Epic launched its FPS Unreal, the company developed a proprietary engine by the same name, and hence the Unreal Engine was born. In 2012, Tencent acquired 48 percent of the company for $300 million, resulting in an exodus of many senior staff. Nevertheless, last March, the fourth iteration of the Unreal Engine, the Unreal Engine 4 (UE4), was released. At CES 2015, Nvidia showcased a mobile demo of Epic’s stunning Elemental running on the Nvidia Tegra X1 mobile chip. Elemental was originally shown as a benchmark for the high-end PCs back in 2012, then the PS4 in 2013. Epic and the Unreal Engine have always been synonymous with the highest level of graphics. “Epic has an enormous brain trust working on graphics rendering – Hollywood-quality graphics are now totally possible on today’s consoles and high-end PCs,” explains Hess. While the company’s primary focus has been games, UE4 is finding success in many non-gaming areas, such as film and entertainment, simulation, visualization, and training. 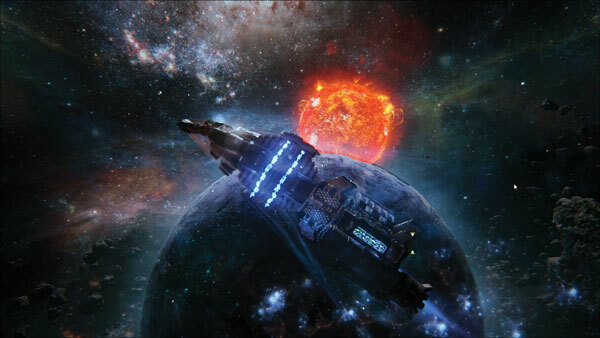 Epic’s UE4 enabled Fugitive Games to build its open-world space game, Into the Stars. Outside of UE4, the group utilizes the Adobe suite, Auto­desk’s 3ds Max, Perforce Software’s Perforce, and Skype for the work. The team was already familiar with the Unreal Engine, having used it on previous projects, including Shadows of the Damned, Lost Planet 3, The Bourne Conspiracy, and America’s Army. And Fugitive found UE4’s pricing “attractive.” “The developer-friendly approach of small monthly payments, coupled with a robust and powerful engine, are what initially drew us to UE4. But the team’s experience with the previous Unreal Engine and the new features deployed with this iteration, including the robust marketplace, are what solidified our decision,” says Jones. our star system come to life!” Jones says. Meanwhile, Epic continues to build up its storefront with tutorials and user-generated content, which is helpful for beginners and seasoned veterans alike. Commercial engines, like UE4, are being used in non-gaming projects, such as in Arch-Vis. Xoio is a visual development studio, based in Berlin, which has recently started using UE4. According to Peter Stulz, Xoio’s CEO, the studio had been looking at various game engines for years but was never really convinced of the resulting quality. Xoio’s work is quite specialized and does not involve gaming or even interactivity, for now. Rather, Xoio generates photo­realistic illustrations, particularly for architecture and advertising. “Unreal enables us to produce compelling imagery,” he says. Aside from UE4, the group uses 3ds Max and Photoshop. The artists also have been using World Machine Software’s World Machine for some landscape erosions. “I love this little tool, and it works very well with UE,” says Stulz. Crytek has long been at the leading edge of game graphics and technology, with titles such as Homefront, Warface, and the Crysis series. Its CryEngine was first used in the FPS FarCry. Then, at the 2009 Game Developers Conference, Crytek announced the availability of its proprietary engine, CryEngine, to third-party developers. At the Game Developers Conference in 2014, the company, like Epic, made a bold move to launch CryEngine as a SaaS model for $9.90 a month, with no back-end royalty fee. Crytek’s Cryengine was used by Liminal Games for its new The Memory of Eldurium, an open-world role-playing game. 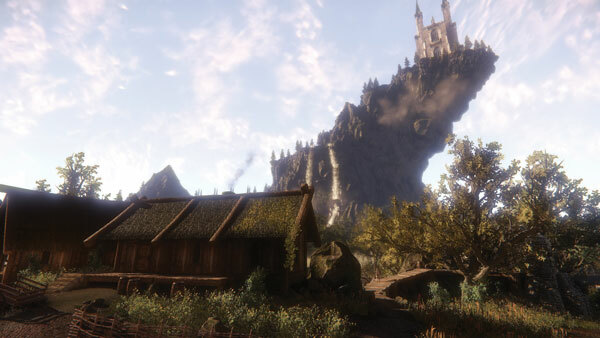 Liminal Games, a small, independent studio in Logan, Utah, used CryEngine for The Memory of Eldurium, an open-world RPG, becoming the first developer to use the engine under Crytek’s independent development license. Other games currently using CryEngine include Miscreated and Ultraworld. And while Crytek remains committed to its engine development, there is obviously significant competition from Epic and Unreal. While there are a number of other game engines on the market, Cocos2D – an open-source engine used by a wide range of independent developers – has found a following particularly among the 2D sect. Built by Ricardo Quesada in Argentina and launched in 2008, Cocos2D was originally written in Python and then, later, in Objective C and C++. Cocos2D, also known as Cocos2d-Swift is now managed and supported by Apportable, the android version, Cocos2Dx is now managed and supported by Chukong Technologies, a Beijing-based company with offices in the US. The current version of Cocos2D supports 2D physics engines, such as Box2D (from Erin Catto) and Chipmunk (Howling Moon Software), while the program lets developers animate particle effects and image filtering effects via shaders. Editors for Cocos2D (such as SpriteBuilder and Cocos Builder) are available for each version. There are a number of big-name publishers that have used the Cocos2D engine on titles including Ridiculous Fishing by Vlambeer, TinyCo’s Tiny Village, Zynga’s Matching with Friends, and Big Fish Games’ Big Fish Casino. cycle, where tools get rebuilt from the ground up with every new title that ships. Even proprietary engines are tweaked and revamped for the developer’s next title. Indeed, the game engines of today are open, collaborative platforms that thrive and necessitate a large community that supports it. Engines and their tools are the building blocks that enable designers and developers to explore, create, and communicate a story or visual dialog. They are the scaffolding that supports the creative process. While some still opt for a proprietary engine, many others see the value of not having to reinvent the wheel, especially when the commercial selections are so robust. This article was originally written for Computer Graphics World and is republished on GBR with acknowledgment of CGW.